Dr. Stanhope is a Professor in the Department of Kinesiology and Applied Physiology at the University of Delaware. He holds joint academic appointments in the Department of Mechanical Engineering and the Biomechanics and Movement Science Interdisciplinary Graduate Program. Dr. Stanhope received his Ph.D. degree in 1985 from the University of Maryland with concentrations in Biomechanics, Human Anatomy and Exercise Physiology. Between 1985 and 2001, he developed and directed the Biomechanics Laboratory in the Warren Grant Magnuson Clinical Center at the National Institutes of Health (NIH) in Bethesda, Maryland, USA. He is a founding member of both the SIAMOC and the Gait and Clinical Movement Analysis (GCMA) Societies. Dr. Stanhope served as GCMAS society President, and also as a member of the Society’s Board of Directors for two terms. A pioneer in the development and dissemination of six-degree-of-freedom motion capture and analysis techniques, Dr. Stanhope led the development of NIH biomechanical analysis computer programs that by 1995 were used worldwide at over 48 clinical research facilities. In 1998, Dr. Stanhope crafted a multi-year technology transfer strategy which leveraged small business innovative research (SBIR) and technology transfer (STTR) grants, contributing to the establishment of C-Motion, Inc. – Currently, the world’s leading distributor of biomechanics software. At NIH, Dr. Stanhope was instrumental in designing key rehabilitation research facilities in the 870,000 square foot Mark O. Hatfield Clinical Research Center. In 2001, he occupied those facilities, becoming the founding Director of the Physical Disabilities Branch, a component of the National Institute of Child Health and Human Development and designated the NIH’s intramural rehabilitation research program. The goal of Dr. Stanhope’s research is to help people reach their optimal level of function when an injury, disease or other health related condition results in physical disability. His interests center on rehabilitation biomechanics and the clinical application of human motion capture, analysis and simulation methodologies. Specific topic areas include gait, balance, prosthetics and orthotics, modeling pediatric obesity, and more recently, joint stiffness, bone shape, rapid virtual prototyping of advanced prostheses and orthoses. Over the years, Dr. Stanhope has investigated a broad range of patient conditions including: limb sparing procedures in osteogenic sarcomas, femoral neuropathies, Proteus syndrome, chronic stroke, Parkinson’s disease, osteogenesis imperfecta, amputation, post polio syndrome, cerebral palsy, cerebellar ataxia and aging. Areas of research interest in his work include the development and implementation of novel devices and biomechanical measurement, modeling, and analysis techniques. This work has lead to the development of: a minimally invasive skeletal tracking method, a method for calibrating instrumented treadmills in situ, a novel body weight support system, and several commercially available products. Dr. Stanhope has co-authored more than 60 published works and holds United States letters of patent. His scientific review appointments for the NIH have included the initial review group for the Medical Rehabilitation Research Subcommittee and the Multidisciplinary Special Emphasis Panel, Special Study Section-5-2. He has served as a reviewer of Rehabilitation Engineering Research Center (RERC) grants for the National Institute on Disability and Rehabilitation Research (NIDRR) and for the National Science Foundation (NSF). Dr. Stanhope serves as a manuscript reviewer for several related biomechanics and rehabilitation publications. Prior to joining the University, Dr. Stanhope maintained adjunct faculty appointments in Biomedical Engineering at the Catholic University of America and in the Graduate Faculty of the University of Maryland Medical School. While at NIH, Dr. Stanhope also served as a senior mentor for graduate students at seven universities and in six disciplines (biomechanics and movement sciences, rehabilitation sciences, biomedical engineering, mechanical engineering, computer science, physics, and medicine). Since joining the University of Delaware in 2007, Dr. Stanhope has established: a Luminary Site Agreement with C-Motion, Inc. that supports the research efforts of more than 50 Faculty and students in theBiomechanics and Movement Science Program; a Cooperative Research and Development Agreement with the Advanced Design and Manufacturing division of the Department of Defense at Aberdeen, Maryland to build advanced orthoses; and a Cooperative Agreement with the Tuscan region of the Italian Health Care Ministry to study community-based Adaptive Physical Activity programs. 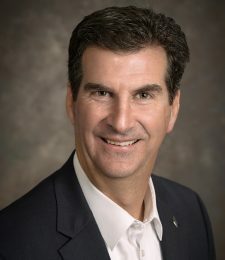 He has served as the interim Dean of the College of Health Sciences, the university’s Research Integrity Officer, and is currently a member of numerous committees and councils (e.g., the Delaware Health Sciences Alliance Research & Development Task Force, the Partnership Initiative Coordinating Council, and Aging Cross College Cluster).